BLAKELI ENTREMONT signs a letter of intent to attend Millsaps College in Jackson, Miss. in the fall of 2013 where she will be majoring in pre-medicine. 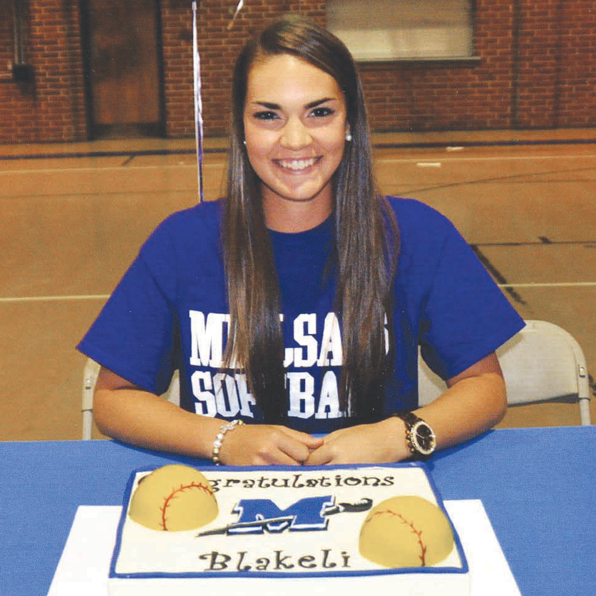 Blakeli received an academic scholarship and will be playing softball at Millsaps. She is an honors graduate of the Class of 2013 from Parkview Baptist. Blakeli maintained an overall 3.95 GPA and is a member of the Beta Club, National Honors Society, and Fellowship of Christian Athletes. In the 2013 softball season, she was named 1st Team All-District pitcher, District MVP, and 1st Team All-Metro pitcher. She was chosen as a 2013 WAFB High School Sports Scholar. Blakeli is the daughter of Church and Tonya Entremont of Central and the granddaughter of Joe and Roseann Dileo of Central and Chuck and Phyllis Entremont of Pride.